Ladies and gentlemen, introducing the super-snack! This very-berry treat is jammed full of goodness to shake you out of your 3pm slump, and power you through your day. Goji berries give you slow-release energy for work, exercise, or whatever you need to get done. 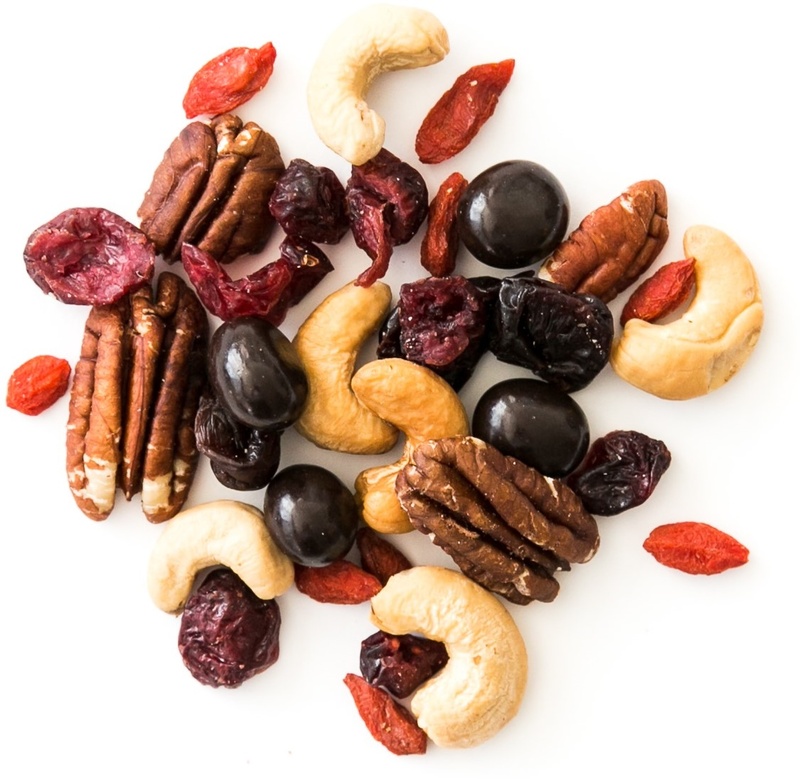 We’re not just talking energy here, this snack also contains a super amount of antioxidants to cleanse your body and keep it running happy and healthy. Dried bing cherries, goji berries, roasted cashews, toasted pecans, 70%+ dark chocolate coffee beans (sugar, chocolate liquor, cocoa butter, soy lecithin, vanilla, salt, coffee beans, confectioners glaze, arabic gum), dried cranberries (cranberries, cane sugar, sunflower oil).